Suns Mar 31 + Apr 7, 1030a-530p SOLD OUT! 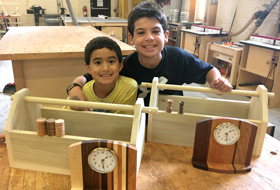 Class Description: Not sure how to begin your exploration into woodworking or how to keep your budding hobby moving forward? Look no further as the The Comprehensive Woodshop Introduction is exactly the class you need! Enjoy the thrill of using a full array of professional grade tools like tablesaws, planers, drill presses, lathes and more. 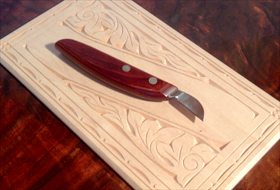 The skills you will learn in this workshop will create an incredible foundation for your growth as a beginner woodworker. And we’re not sure which you’ll love more — the gorgeous multi-colored pepper mill and salt cellar set you’ll take home or the experience of making them! Note: In order to complete all of the projects in just 12 hours of class time, some prep work is done by PW. Any and all prep work that we do, though, is fully demonstrated in class! Enrollment Bonus: One FREE Month of membership for class alumni that sign up for a NEW Unlimited Access Membership! Details <here>. The pepper mill grinder mechanism is stainless steel which is great for grinding peppercorns but may be corroded by salt. Do not use salt in this mill. In order to compete this class in the time allotted, the drilling of the holes in the wood is done by PW in between class sessions but is fully demonstrated and explained in class. At the end of this course you will have an assembled project with a first coat of danish oil. For best results, we suggest additional coats of oil be applied at home – at least 2 or 3 more, but as many as you like! Alternatively, we can professionally finish your project for you, please ask for details. A Full Woodshop Intro for Women Only! ALL NEW: Essential Furniture Joinery! 40% OFF: Custom Cutting Boards! A Gorgeous Hardwood Serving Tray! Conquering the Hand Router (Fixed Base)! The Art of Chip Carving! Summer Camps and Lessons for Kids!